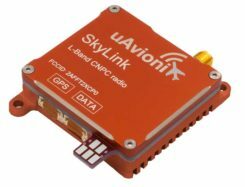 SBG Systems has released a new generation of its advanced and compact inertial navigation systems. The Ekinox 2 series features new accelerometers and gyroscopes, enhancing attitude accuracy by a factor of two over the original Ekinox. The Ekinox series is a line of tactical grade MEMS-based inertial navigation systems, first released in 2013. 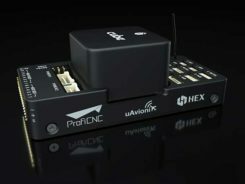 The latest improvements come from a complete redesign of the in-house inertial measurement unit (IMU), integrating cutting-edge gyroscopes and accelerometers. With higher accuracy for the same form factor and price level, Ekinox 2 Series is designed for industrial-grade vehicle navigation, equipment motion compensation and data georeferencing. It provides a 0.02-degree roll and pitch, 0.05-degree heading and a centimeter-level position. Applications for the Ekinox 2 include hydrography, mobile mapping and antenna tracking. With new accelerometers, this new generation has also significantly improved its resistance to vibration. Finally, the addition of the BeiDou constellation improves signal availability in Asia. Compact and light-weight, the Ekinox Series has been designed to simplify installation operations. Configuration is made with an intuitive embedded web interface where all parameters can be displayed and adjusted. For example, users can choose a profile (vessel, plane, car, etc. ), and the 3D view will provide a visualization of settings such as the sensor position, alignment and lever arms. The Ekinox 2 Series is ITAR Free. The product line will be available during the second quarter of 2017.